The GE B36-7 was the builder's most powerful four-axle "Dash 7" model. By the time the model was manufactured during the first half of the 1980s, railroads were losing interest in high-horsepower four-axle units, instead opting for six-axle models for main line freight operations. Interestingly, however, General Electric continued to offer four-axle designs as late as 1990 with its B40-8W (which was part of its later "Dash 8" series). 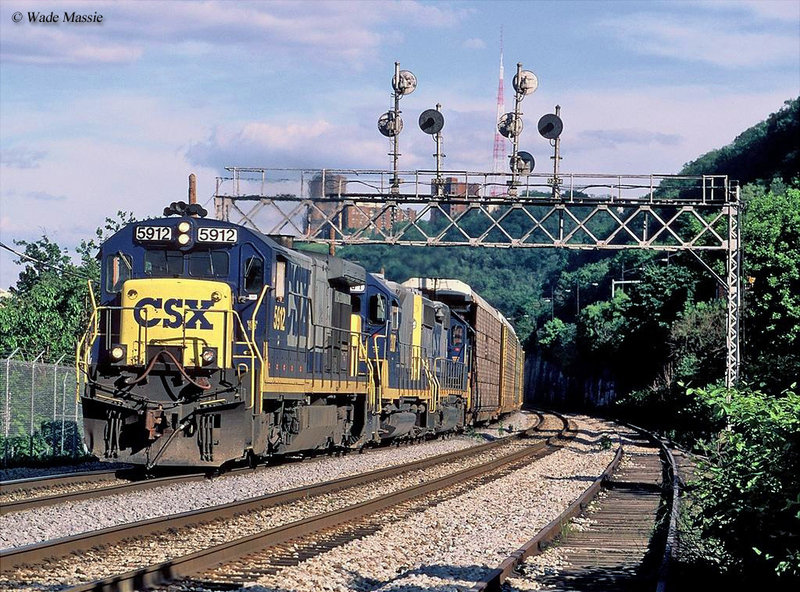 While the design had the fewest sales of any "Dash 7" locomotive model, ex-Seaboard units remained in use on CSX until late 2009. Today, one can still find B36-7s in use on short lines and regionals. Additionally, given the relative young age of this model, none are currently in a state of preservation although as the years progress and units are retired, museums and tourist lines will very likely pick up examples of the model. Like its predecessor the GE B36-7 (read B36 “Dash” 7) looked very similar to the model it was designed after, the U36B, save for its flared rear radiator and upgraded components and electronics. Overall, the entire Dash 7 line was simply Universal models that featured new and more reliable equipment, notably traction motors and the aforementioned electronics. While the "Dash 7" line was somewhat different in how GE labeled its models the letters and numbers meant virtually the same thing. For instance, in regards to this design the "B" denoted the model was a four-axle unit (or featured a B-B truck setup), "36" listed the power rating (3,600 horsepower), and "7" simply referred to the unit as part of the "Dash 7" line. As always, the model came equipped with GE's 4-cycle model FDL16 prime mover utilizing the company's very reliable, and latest, 752AF model traction motors. The locomotive could produce the greatest amount of tractive effort of the four-axle Dash 7 models; 65,725 pounds starting and 64,000 pounds continuous. The GE B36-7 began production in 1980, a few years before its predecessor, the B30-7 ended its run. Overall sales were lukewarm although six Class Is ultimately purchased at least a few units including the Santa Fe (16), Conrail (60), Seaboard (120), Southern (6), SP (16), and Cotton Belt. By the 1980s GE had a steady following by some, such as Conrail and Seaboard, the latter of which purchased the most B36-7s. Additionally, the Cerrejon Coal Project of Columbia purchased eight units. In all, General Electric sold some 230 examples by the time production was ended in September, 1985. Despite sales for the model being slow, at least compared to other designs GE had sold up to that time, it soldiered on in active revenue service on Class Is for many years with the final units being retired from CSX in the late fall, 2009. 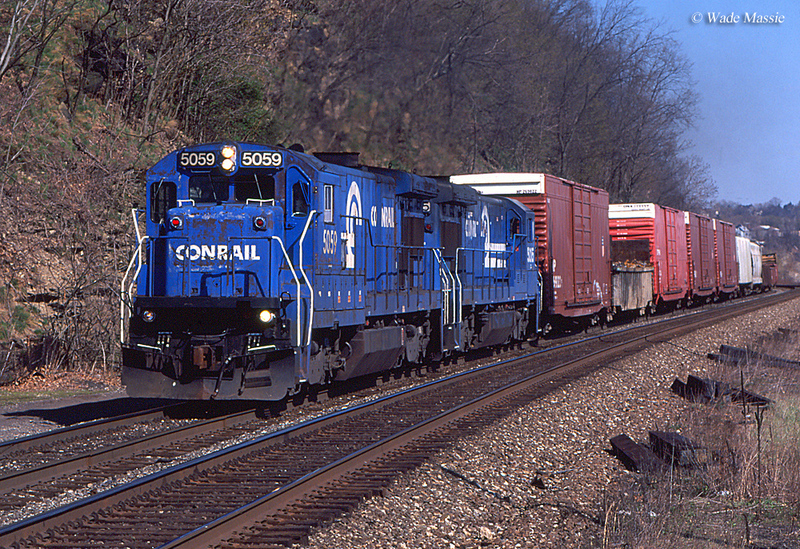 Earlier, Conrail's original fleet of B36-7s were put out to pasture between 2000 and 2001. In any event, for GE it understood by the 1980s that any remaining interest in four-axle designs, at least for main line service (this model, for instance, had been intended for use in fast intermodal/container service, which is why Conrail like them so well) had all but evaporated. It cataloged a B32-8/W, B36-8, B39-8, and B40-8/W in the mid/late-1980s but in total these models sold a combined 400+ examples. 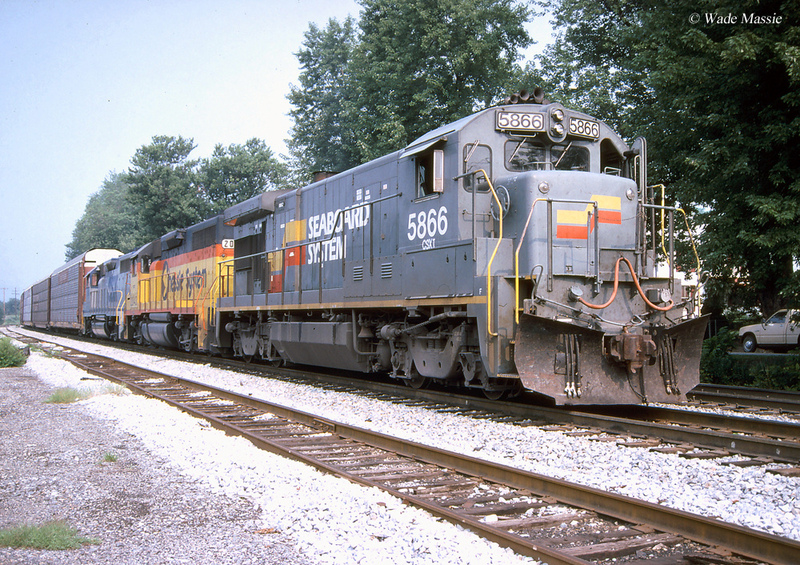 While GE was fighting with General Motors for industrial leader in the 1980s, not even the latter's EMD could tempt many to purchase four axle models during that time (its GP50, GP59, and GP60 models sold slightly better at a little over 700 examples). Today one can still find some B36-7s in service on smaller systems including the Transkentucky Transportation Railroad (which owns many), British Columbia Railway, and Progress Rail Services. Lastly, for more information about the B36-7 and a complete production roster please refer to the chart above.